George and Nick's Autumn fun 2017. Cute shirtless men. 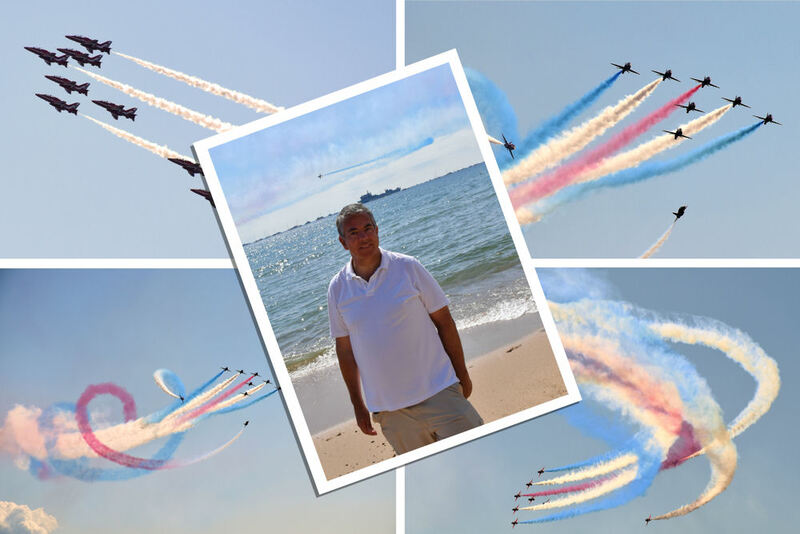 Bournemouth Air Show. Russell Cotes Museum. Cute dads. 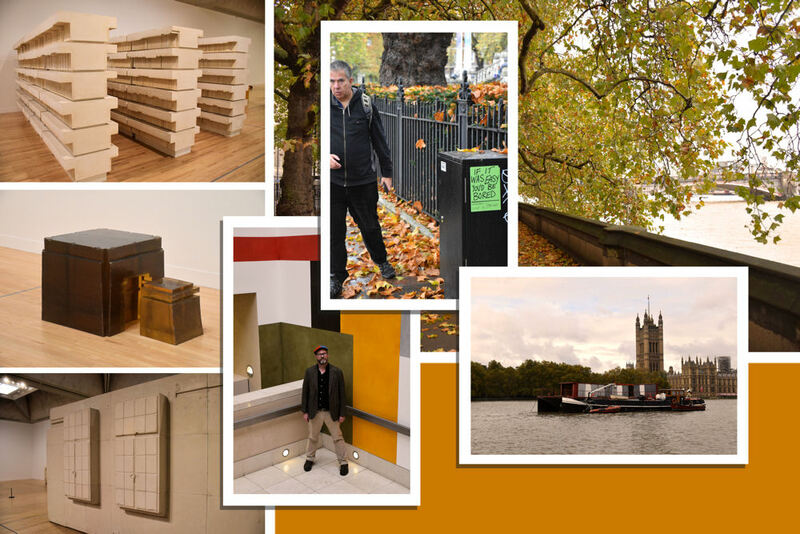 Rachel Whiteread retrospective. Imelda Staunton in Sondheim's Follies. 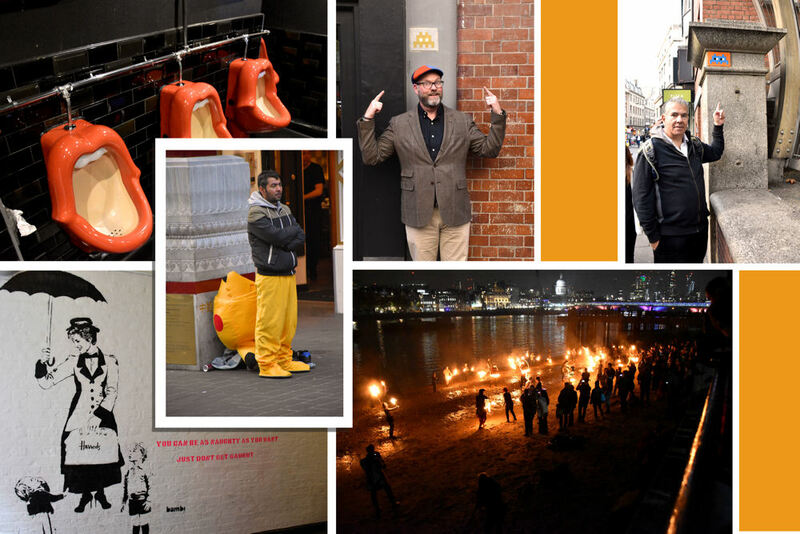 Invaders in London. Impressionists in London. 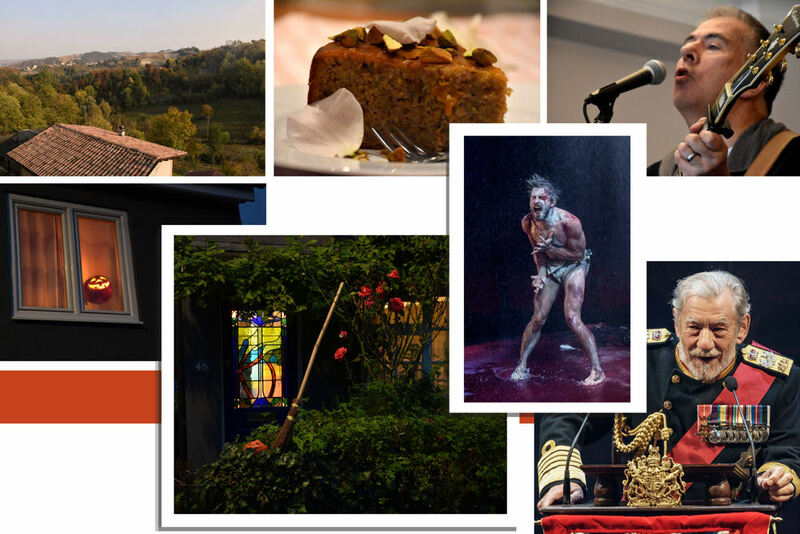 As the weather turns cooler, our thoughts are on wild mushrooms, theatre, and anniversary fun. 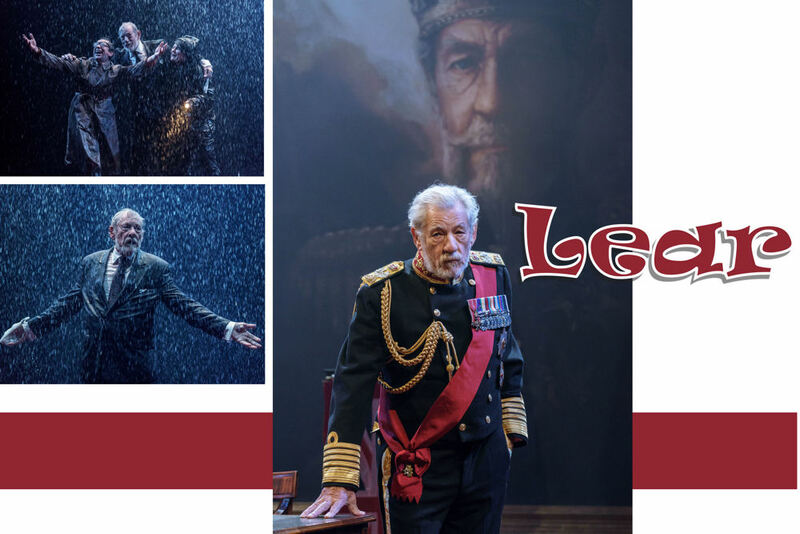 See photos from autumns 2009 (Stephen Fry), 2010 (Devon and Dad), 2011 (Glasgow and Robert Thompson), 2013 (David Tennant and The Drowned Man), 2014 (Belgium and Streetcar), 2015 (Studland, Benedict Cumberbatch, and Robert Thompson) and 2016 (Hengistbury, Naked Boys Reading, and Sorrento). The previous week, we went to London for a quiet day of sightseeing and ended up at Notting Hill Carnival. 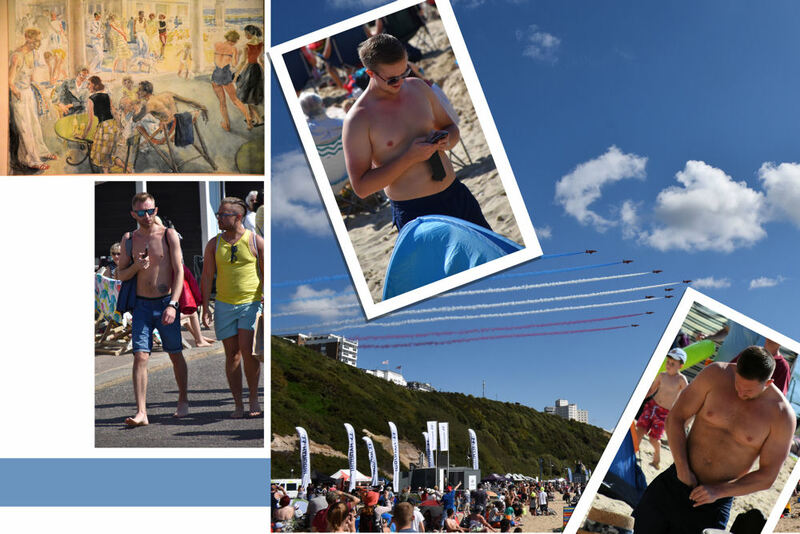 Today, we went early to Bournemouth for a walk on the beach and found ourselves with half a million others - some wearing shirts - at the Bournemouth Air Show. . In town, we admired the Art Deco Echo building and then saw a drawing of it from the 1950s at the Russell Cotes Museum. The geometric design was on a glass plate and the lightbulbs are a mirrored installation by the Open University. We stayed to watch the arrival and display of the Red Arrows. This was a truly memorable performance of Shakespeare's play. 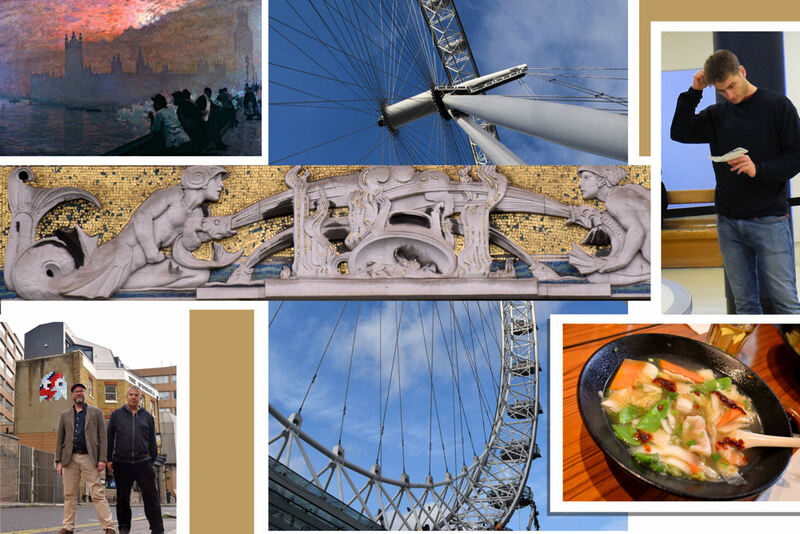 We returned to London on the last weekend of half term for more anniversary celebrations and to get a dose of culture. 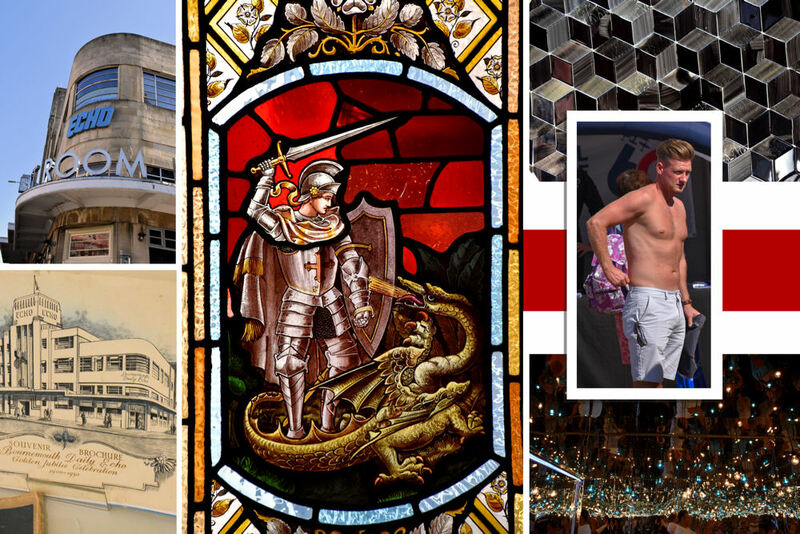 Click HERE to see our last trip to London and the Notting Hill Carnival. 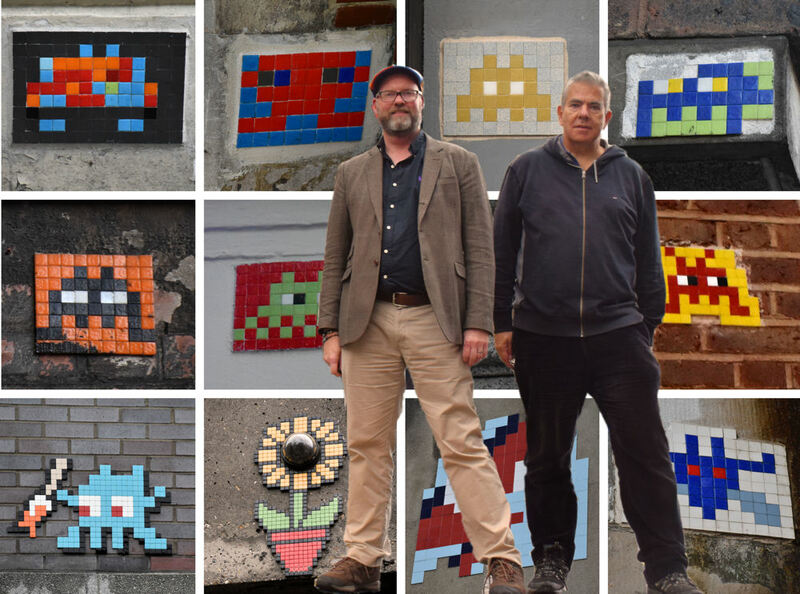 We love tracking down Invader's street art and Nick is very good at locating them on a Google map, which leads us straight to ones that we have walked right by for years. 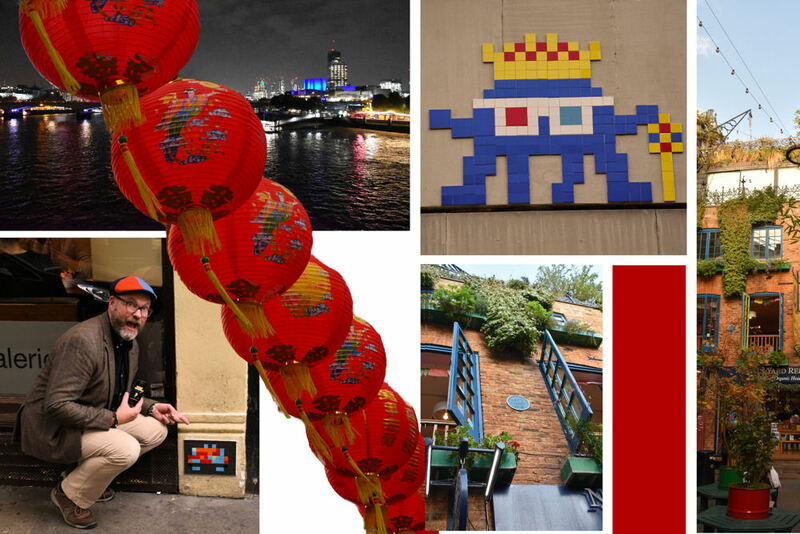 We found Invader's work in Chinatown, Soho, and near Liecester Square but the one in Neal's Yard evaded us. Monty Python lived in the building where I used to eat often. 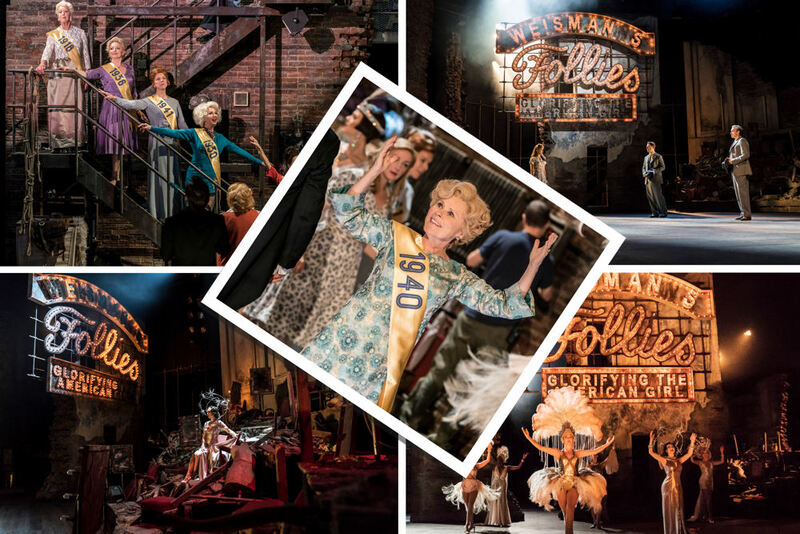 The main reason for our trip to London was to see Imelda Staunton in Sondheim's Follies. Critics have universally raved and said the show will probably never be better. There were astounding turns from most of the 37-strong cast. An unforgettable experience. 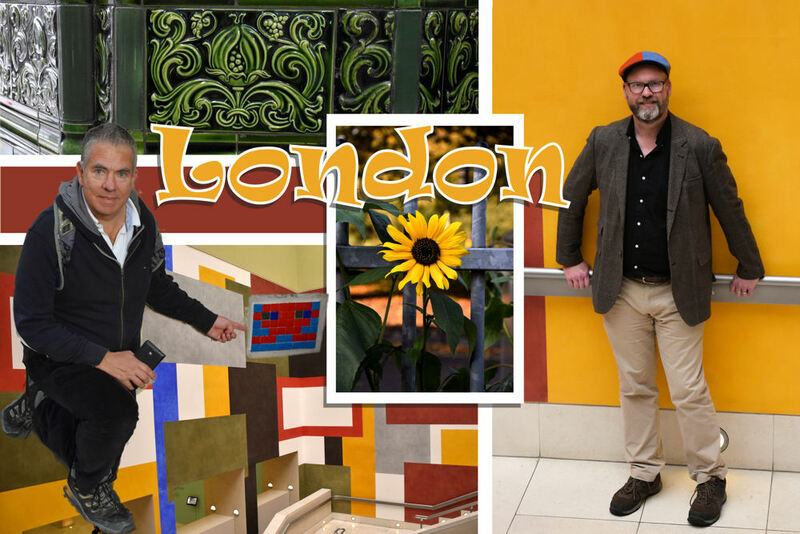 On Satruday, we went to the Finsbury Park area and found the great paintbrush Invader, right near the Park Theatre, where we saw Boys in the Band. in 2016. 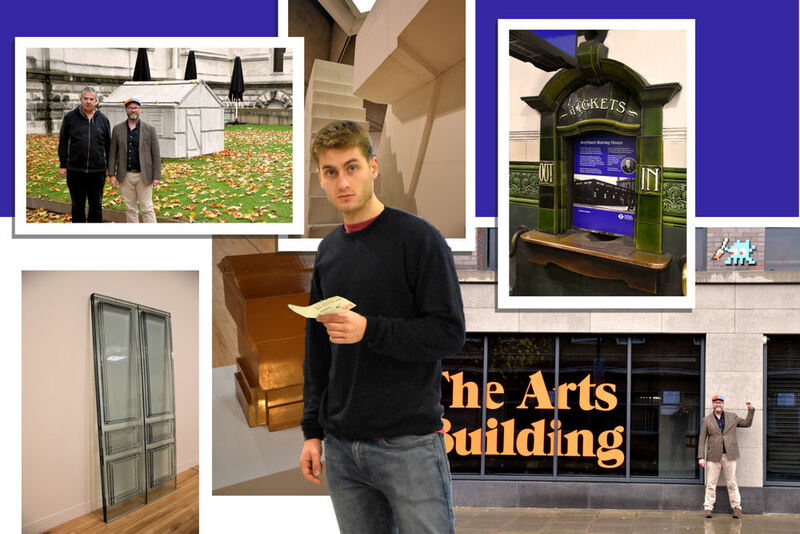 We then went to Tate Britain to see a retrospective exhibition on Rachel Whiteread's work. Rachel Whiteread makes casts of the empty spaces around objects. My favourites were the luminous resin ones. Notice how the walls of the gallery match the cap I bought in Piemonte. 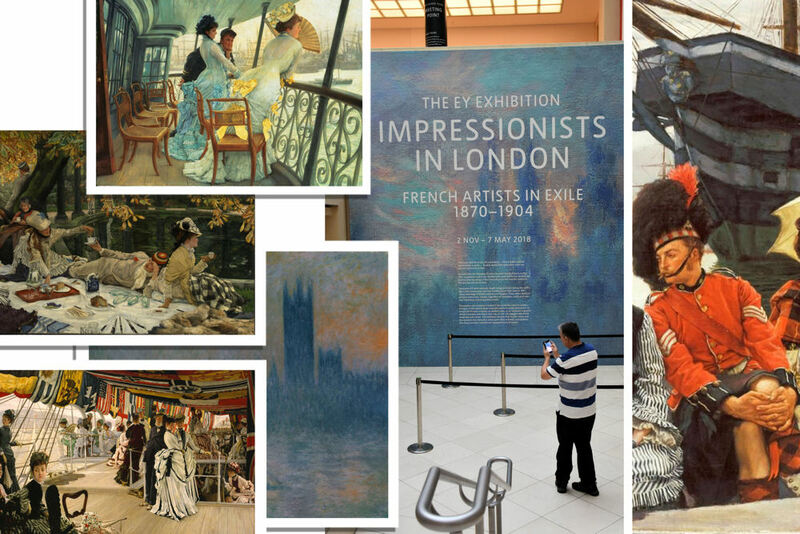 We didn't know about the Impressionists in London exhibition beforehand, but we bought tickets and loved the work we saw, discovering a new artist to us, Giuseppe De Nittis, along with the work of Monet and Tissot. We found Art Nouveau looking designs on the fire brigade building near Lambeth Palace, discovered a huge Invader by accident, and ate lunch at Culture Grub before heading home.